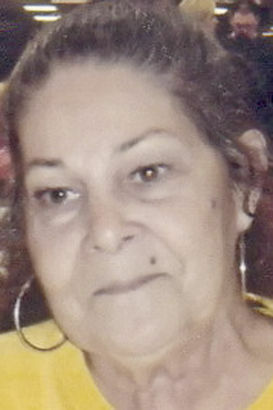 WARREN - Rosemary Gaston Williams, 74, died at 10:24 a.m. Saturday, Jan. 26, 2013, at her daughter's residence. She was born Jan. 1, 1939 in Warren, the daughter of Victor and Mary Gaston. Rosemary retired in 2000 from Delphi as a conveyer and press operator after 13 years. She was a member of Holy Resurrection Romanian Orthodox Church. She enjoyed gardening, was a bird lover and most of all enjoyed being around her grandchildren. She is survived by three daughters, Felice (James) Dennis of Warren, Rose (William) Bosley of Southington and Angela (Gus) Taktikos of Warren; 14 grandchildren; 11 great-grandchildren; two brothers, Victor (Dolly) Gaston of Cape Coral, Fla., and Jack Gaston of Champion; and one sister, Vera Black of Warren. She was preceded in death by her parents; a daughter, Alicia; and three brothers, Stanley, Phillip and Basil Gaston. Services will be 10 a.m. Wednesday at Holy Resurrection Romanian Orthodox Church with the Rev. James Barkett officiating. Family and friends may call one hour prior to the service. Arrangements are being handled by the Peter Rossi & Son Memorial Chapel, 1884 North Road N.E., Warren, OH 44483.